We give back to and connect with our community because we want to see it thrive. We do this by donating our time to local charities and boards, sponsoring local clubs and committees and collaborating with likeminded businesses and individuals. We are the only local firm to provide free legal advice at the Loddon Campaspe Community Legal Centre – an outreach service in Echuca for those who cannot afford legal services and who are not eligible for legal aid. We don’t apologise for looking at things differently. We start each day with a sense of purpose and actually like what we do. We invest in long term relationships with our clients and we measure the value of our services in the same way you do by offering fixed pricing options. We enjoy what we do and who we do it with…..
Georgie joined our team in mid-2015 as the Office Manager. Georgie has over 15 years experience in all facets of office administration, ledgers, reconciliations, payroll and accounts and has worked in various industries. Georgie is predominantly responsible for the financial aspects of the business, ensuring the office runs efficiently and productively. She prepares cash flows, budgets and any financial reporting required by management. Georgie has an excellent work ethic, positive attitude, highly developed people skills and an exceptional eye for detail. Peta is a qualified lawyer working in our Wills and probate division. She has a pragmatic understanding of the law, and strives to explain this to clients in a simple, no-frills manner. Peta is committed to listening to her clients, and working with them to clearly document their last wishes, determine the advantage of powers of attorney, and to navigate the special duties of being an Executor. From time to time, this may also extend to working with clients who may not have been adequately provided for under a Will. For the last few years, Peta has worked with the NSW and Federal Governments, first in an ethics taskforce, then assisting the rollout of legislation and public policy in a remote community. Peta is proud of her sense of integrity, determination and ability to work with clients during both the good times and the bad. Peta has recently relocated to Echuca-Moama with her partner and their dog. She is excited to call this beautiful community home, and is looking forward to exploring the region further. When we go to the dentist we want to know how much it's going to cost. We get you want to know what our fees will be. Where most firms charge by time our approach is different. 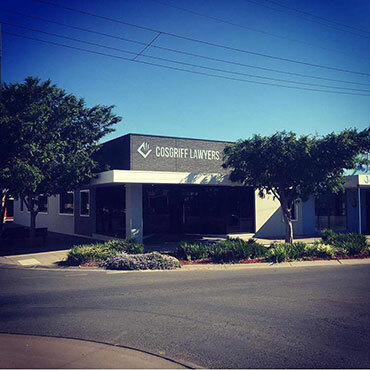 With Cosgriff Lawyer's Agreed Pricing (CAP) you will know our fees before we start work. We don't only charge by time but can provide pricing options based on the outcome you are seeking, including a fixed price for each stage of the work. This will involve working closely with you to understand the scope of the work and proposing a price which reflects the value of the work, not only the time we will spend on your file. Review of the Family Law System The Federa ..
NATIONAL MINIMUM WAGE UPDATE The Fair Wor .. While many people know the importance of ha ..
Loan from Parents in Family Law Property set .. Drinking and driving: Know your limits ..
Capital gains withholding: Impacts on foreig ..
3.3% increase to Minimum Wages and new P ..
How Important is it to have a valid Will .. 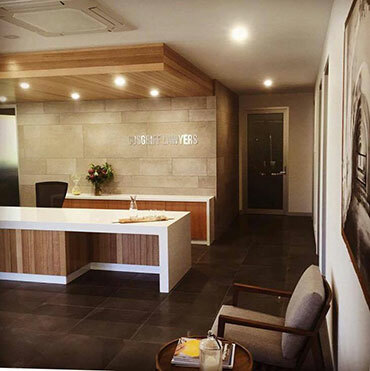 The recent decision in CB Cold Storage Pty ..
Purchasing Your First Home It’s natu ..